4th Degree Black Belt Owner and Senior Instructor at Martial X Systems Kenpo Karate School in Grand Rapids, Michigan. Martial X Systems Kenpo Karate School has become a landmark of Grand Rapids martial arts. James Faasse leads an extremely talented group of instructors and black belts from various other martial arts to bring you the pinnacle of modern Martial X Systems curriculum and training. Get started now and find out how you can be healthier, happier, AND more successful through Martial X Systems training! Martial X Systems Kenpo Karate School is an institution of self-improvement and the home of champions. You and your family are in good, caring hands with the Martial X Systems team. 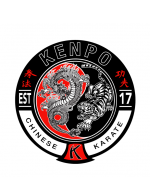 With their focus on creating a POSITIVE, safe, injury-free training environment, Martial X Systems Kenpo Karate School has earned the reputation in Grand Rapids as well as Wyoming, Rockford, Northview, Cascade, of being the top Martial Arts school and character development center in the area. When you train in our Martial X Systems classes, you take advantage of the best self-improvement system in the world. James grew up on the North East side of Grand Rapids attending Northview schools. He started Judo at the age of 12 and went on to participate on the Air Force Judo Olympic Team. After the service, James moved to San Diego to specifically study the art of Kenpo Karate and carried his martial arts training as an action stuntman. 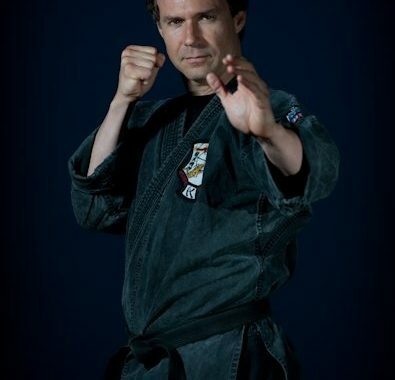 He has studied many other arts during his 40 years practicing martial arts, including JKD, Kali, Arnis, Aikido, Tae Kwon Do, Kajukenbo,Thai Kick Boxing, Boxing, and Brazilian Jujitsu. James owns and operates iNETready Communications, a digital marketing, design and web hosting company that develops innovative software, marketing & commerce solutions for small business & corporations. In his spare time he enjoys training his three Border Collies performing at Disc Dog Events across the country. If you’re looking for information about the best Karate programs in Grand Rapids and surrounding areas (like Wyoming, Northview, Rockford, Cascade), you’ve come to the right place. Martial X Fitness will empower you with the self-defense and self-improvement programs you’ve been searching for! James is a long time friend and instructor that demonstrates great character and ethics. As a law enforcement agent he has taught me techniques that are practical and applicable to my profession that have saved my life more than once.